The benefits of this exclusive collection are so striking; some have compared using the products to a non-surgical alternative to a facelift for those suffering from visible signs of aging. The Exclusive 24K Dark Circle Eye Solution radically improves the look of dark areas of skin around the eyes. Also included in this collection are the 24K Intensive Eye Serum and Intensive Eye Formula Cream, which provide a boost of ingredents to the delicate skin around the eye area, and reduce the prominence of fine line and wrinkles. Gently apply a small amount to the under eye area daily. Performs best if used in conjunction with the 24K Intensive Eye Formula Cream. 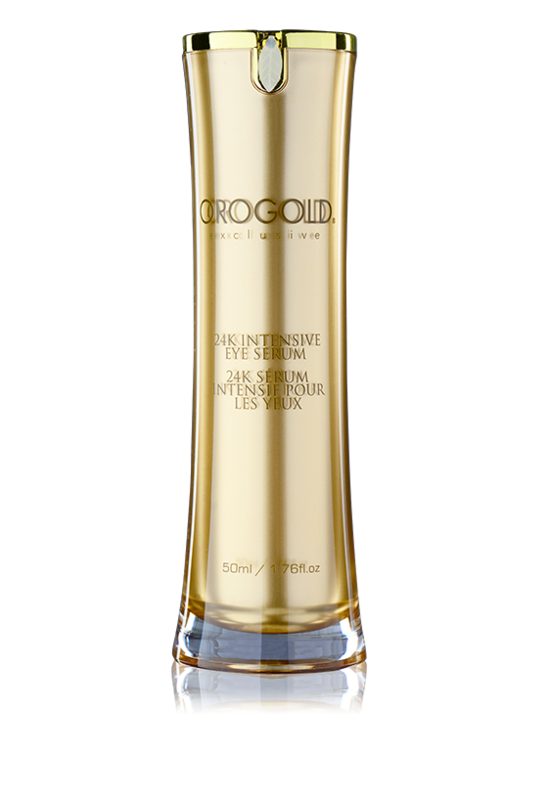 This breakthrough 24K Exclusive Intensive Eye Serum helps give the delicate skin around the eyes a more firm feel and reduces the appearance of crow’s feet at the corner of the eyes. 24K Intensive Eye Serum is specially formulated with ingredients that reduce the look of aging around the eyes. Apply a small amount to the under eye area and around the orbital bone every morning. For best results follow with 24K Intensive Eye Serum. 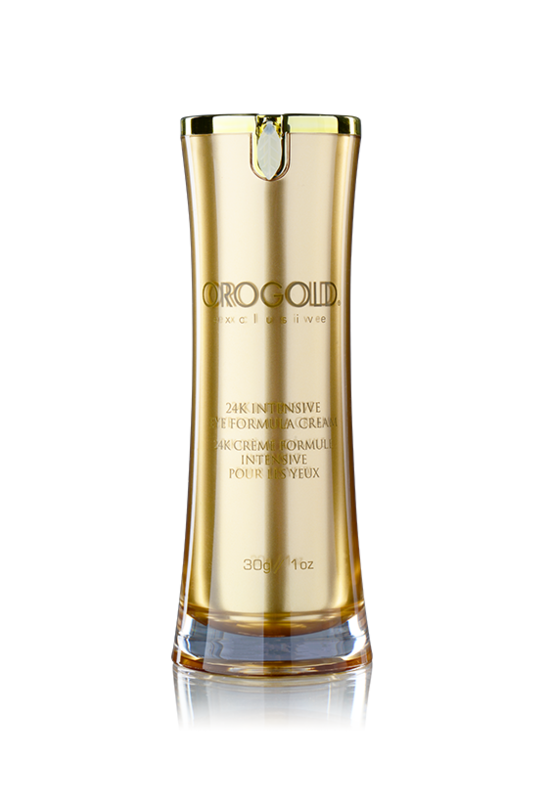 This extraordinary golden cream diminishes the appearance of under eye dark circles. Illuminating the eye area, the 24K Dark Circle Eye Solution leaves your face looking brighter and younger. Formulated to improve the look of delicate skin around the eye area, the luxurious texture absorbs quickly leaving an enhanced under eye area. Apply daily to the area around the eyes. Works best when used in conjunction with 24K Intensive Eye Serum. The 24K Intensive Eye Formula Cream operates by diminishing the appearance of puffiness and reducing the prominence of fine lines around the eyes. This lends your eyes a more rested look. The 24K Intensive Eye Formula Cream is formulated with powerful ingredients to restore vibrancy to tired eyes. After cleansing the face area, apply the mask under each eye and take your well deserved 15 minutes to relax. Remove eye mask after 15 minutes and use only once every 4 weeks. 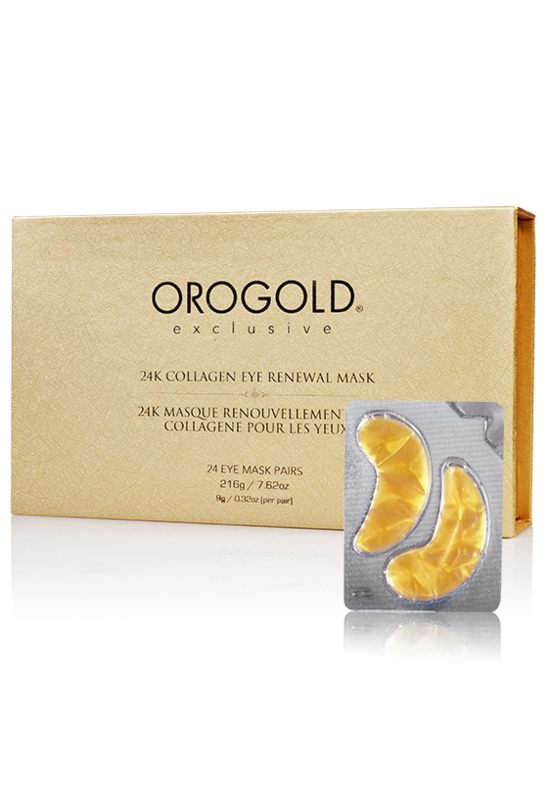 Created from the incredible combination of Collagen and Lavender, comes the magnificent 24K Collagen Eye Renewal Mask. This under eye mask will help you achieve a younger looking complexion while minimizing the appearance of wrinkles and fine lines.